On the first Father’s Day after his death, I thought it might be good to reblog this with a couple little updates. I miss him very much. My dad taught me that no matter how hard you try, Birkenstocks and white socks do not go with any outfit. My dad taught me that there’s no such thing as background music. Any music worth listening to must be played loud. My dad taught me not to be afraid of people, places, music or food that are outside my experience. 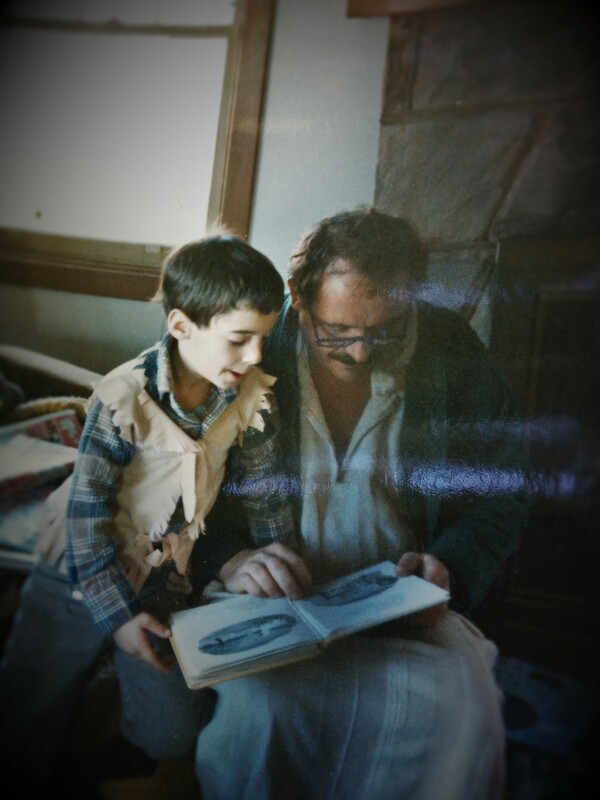 My dad taught me that sweat pants and tie dye never go out of style…for some. My dad taught me that the in crowd isn’t really in. My dad taught me to stand up for myself when I need to. My dad taught me that life is more than money. My dad taught me that it is all right for a man to feel for people, for art, for beauty. My dad taught me that it’s OK to question authority, unless it was him. My dad taught me that pain is part of life, and trying to bury it doesn’t work. My dad taught me that addiction is a demon but that it can be conquered. My dad taught me that saying, “I would never do that,” is a dangerous thing to say. My dad taught me not to judge others. My dad taught me how to forgive. My Dad taught me to give my faults to Jesus. My dad taught me that life is people, and to love them in all their wonderful messiness. My dad taught me that generosity and hospitality are love in action. My Dad taught me that God is good, we are not, but we are loved. 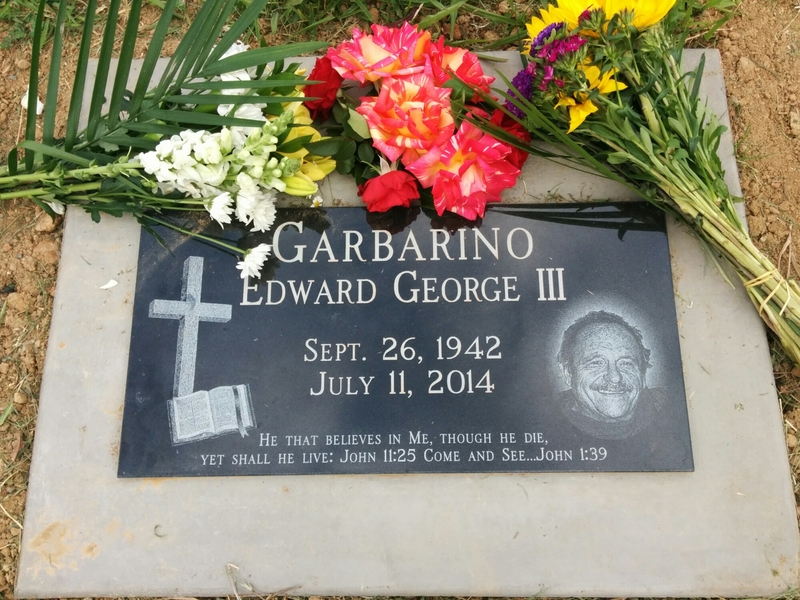 My Dad taught me that Jesus demonstrates God’s love in his life death and resurrection. Most importantly, or at least second-most importantly, my dad taught me to never, ever overcook the pasta. Inklings in John: The Lion, The Whip and The…. 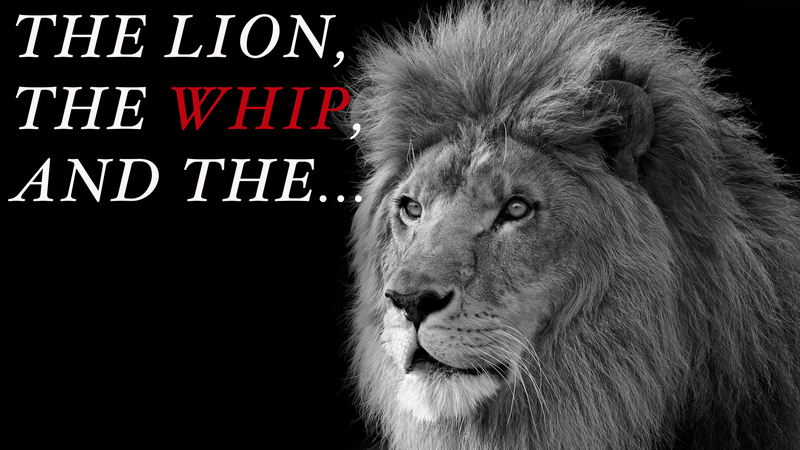 Pop quiz: There’s a lion with a whip making for you, what do you do? What a crazy contrast. In the first part of John 2, Jesus creates wine at a country wedding and then John immediately turns, apparently skipping forward chronologically in Jesus’s ministry, to this scene of judgment at the temple in Jerusalem. His vandalism temporarily closed down the most publicly important place in the nation. What to make of this? Jesus’s actions are hardly ones we would expect from the joy-on-draught guy we saw a few paragraphs ago in Cana. The temple cleansing is a favorite passage of militant Christians bent on disturbance. A quick google search on this passage reveals ridiculous images from the middle ages through today with Jesus carrying everything from a cane to a Colt .45, wreaking havoc on some hapless temple servants. But, pacifists or militant, we don’t get to put Jesus in a box. We don’t get to leverage his attributes and actions against one another. He is who he is – a burning bush, an avenging God, healer of the blind and lame, lover of the lost, the eternal sacrifice and the eternal judge, a lamb and a lion, a king establishing his new Kingdom. He is a king who will die in your place and demand nothing and everything from you in return. The Israelites had compromised the temple of God for the sake of commerce, comfort, and convenience. But mainly, they had reduced their covenant relationship with God to a conditional, quid-pro-quo business transaction – the favor and forgiveness of God for an afternoon of animal blood and a few shekels. The system wasn’t wrong, just made obsolete by Jesus. Their hearts were wrong. When Jesus saw this, “Zeal for God’s house consumed him,” and drove him to civil disobedience, but zeal for my heart drove him to the pitiful, painful cross. I don’t have to look very deep into my heart or my habits to see the same dead religious practices. I must examine my heart for compromise and conditions and lay them before him. The old temple is done away with and if we have believed into Jesus, our hearts, homes and churches are God’s tabernacle. He is “God With Us.” We cannot hide our money changing from him, but we try. In fact, we have much more than money-changing tables in our temples. We are world-class hoarders. We have created warrens and alleyways amidst the junk we are blind to or choose to ignore. We have piles of petty hurts and grudges. We have mountains on top of molehills of pride. We have our thumbs on scales full of good and bad deeds, (our own and others). We have bitter roots growing up through the cracks. Maybe even a few dead cats buried beneath it all. Our trash is the only thing we bring to the temple cleansing. We must acknowledge it, hate it, and step aside. We must invite him to drive these from our temple. Be open to his zeal. The lion with the whip is terrifying but driven by love. We should not run. This quote from “The Lion, the Witch and the Wardrobe” gets to the heart of the matter without nearly as many words. Jesus didn’t do anything by mistake during his 33 years. He did everything according to the will of the Father and in the Father’s timing. So what are we to make of the choice of what seems like a “party trick” for his first sign? No one is healed, resurrected, resuscitated, baptized, catechized or sermonized. He gives people who have had too much to drink more wine. Turning water into wine has become a euphemism for the impossible. But it’s no cheap bit of sorcery for Hogwart’s first-years. This was more than a miracle. It was a statement. Jesus converted ceremonial washing pots, used to fulfill the requirements of the law, into vessels full of wine – joy, gladness. Just as he would fulfill all the requirements of the law with his body and then pour out his blood in sacrifice to bring “life and life abundantly” to those who put their faith and trust in him. In this way, the sign also announced the return of joy to Israel. God entered into covenant relationship with Israel long ago, but the joy of the union was gone. They had left their first love, as we all do at some point. But he has not left us. Not only does he show his faithfulness, but he celebrates the reunion and proclaims himself a source of joy and life that never runs out. This world can offer no such joy. To be sure, there is wine, good wine, and plenty of other things that bring us pleasure in this life – he knows, he designed us and the grape and dopamine. But if we make these our Gods they will always disappoint. They run out, or consume us, or end with our last breath. When the good stuff is gone, or we can’t afford it, or it lose its appeal, we start getting drunk on the cheap stuff. Like the master of the banquet, we resort to trickery to keep ourselves satisfied. Not so with Jesus, who is the source of joy in this life and eternally. 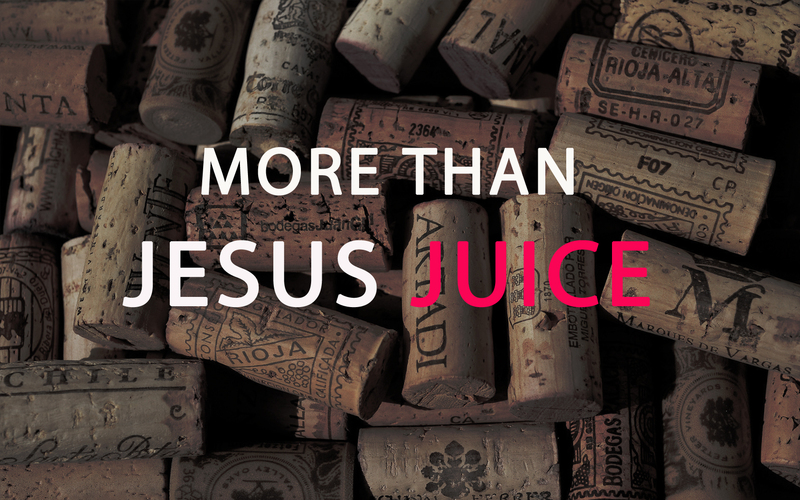 It might trip a few people out to know that in one sense, Jesus’s ministry began with drinking in celebration and it will culminate with drinking in celebration. (Matt 26:29) One day, those who have put their faith and trust in him, who have been purchased as his bride, will enjoy a wedding feast like no other. And he will drink joy with us again (Rev. 19:6-9). I’m sitting in the airport ready to head back home to Oklahoma after a successful house hunting trip to Utah. The Lord has provided a good, safe place for us to live within our budget while we get our feet under us here. Everything is falling into place. I spent time this week searching for a home, exploring the city and enjoying fellowship with dear friends. It has been a blessing, but I had mixed emotions, not just about leaving our church and friends in the red dirt state, but about our course in life overall. Yesterday, I read over a letter I sent to Ed Compean before our family traveled to Kenya. In it, I told him all about our desire to serve there and expressed excitement with the potential ministry opportunities that existed. Six months later, Kenya is behind us and we’re on the verge of moving to Salt Lake City for a career promotion. It all seems surreal. Whiplash. If we live in a tale of two Kingdoms, then I feel like I’m exchanging one for the other. But feelings can be tricky things. Reading the letter I wrote made me a little angry and a little sad. I don’t know why. There are probably a lot of reasons, some obvious and others not so obvious. It was a rough landing when we came home. For a couple months, we spent time questioning God’s call on our lives, questioning our motives, the presence of the Spirit within, even the legitimacy of our faith. It was an easy job to convince us of what we all believe deep down…that we’ll never be good enough. My brother called me one night a few months back and said, “You’re emotionally and spiritually floundering. Don’t make any major decisions right now.” He was right. But I knew we were floundering long before he said that – and in the middle of all of it, my prayer was. “God show us your will. Put us where you want us for your kingdom.” It was nothing new. It was the same prayer I had been praying for the previous year as we prepared for Kenya. But now there was a little less fairy dust and a little more bite. Through all the floundering, the “plan of my heart” has been to serve God, for our family to honor him in what we choose. I can stop floundering and rest in him, because as long as He is our desire, as we keep moving our feet He will direct our steps. My dad taught me not to be afraid of people, places, music and food that are outside my experience. My dad taught me that pain is part of life and trying to bury it doesn’t work. My dad taught me that life is people and to love them in all their wonderful messiness. Most importantly, or at least second most importantly, my dad taught me to never, ever overcook the pasta.